Although banks remain the dominant force in OTC FX in 2017, the FX industry playing field has become more level. Boston, November 22, 2017 – The global foreign exchange market structure has transformed over the past three decades as a result of FX trading venue evolution and buy-side clients’ adoption of electronic trading. Meanwhile, nonbank competitors have been chipping away at market share and will continue to do so. 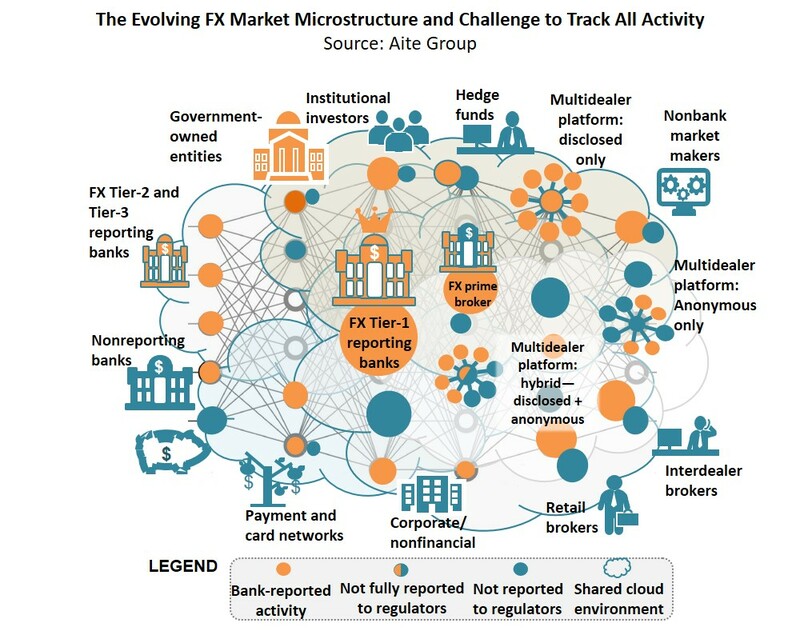 With faster access to a wider range of best-execution methods, could FX price-takers potentially gravitate toward e-FX solutions that are not bank-owned or do not have known banks as counterparties? This Impact Report, the first of two in a series dedicated to the FX activity of midsize-to-large buy-side firms, examines the FX buy-side historical volume growth, forecasts its medium-term trading volume, measures the homogeneity of buy-side groups in their use of credit and choice of FX products and currency pairs, and identifies how the microstructure of OTC FX markets has changed over time. It is based on Aite Group’s proprietary knowledge base, recent primary research, and data from reliable secondary research sources (e.g., Bank for International Settlement FX surveys and central bank FX surveys). This 29-page Impact Note contains 17 figures and four tables. Clients of Aite Group’s Institutional Securities & Investments or Wealth Management services can download this report, the corresponding charts, and the Executive Impact Deck.